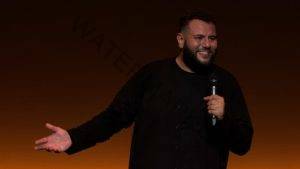 Arab-American comedian Mo Amer brings his worldly experiences to his debut Netflix Original stand-up special, Mo Amer: The Vagabond. Filmed at the Paramount Theatre in Austin, TX, Amer enlightens audiences about the truths of his first-hand experiences as a refugee. From the American immigration policy and touring internationally without a passport to the time he went viral for sitting next to Eric Trump on a flight, this is Amer like you have never seen before. If you like what read about Mo Amer: The Vagabond, please remember to share Netflix New Releases on Facebook, Twitter or wherever you guys want it’s all appreciated.